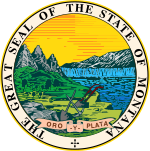 The 1984 United States presidential election in Montana took place on November 6, 1984, and was part of the 1984 United States presidential election. Voters chose four representatives, or electors to the Electoral College, who voted for president and vice president. 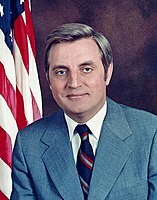 Montana overwhelmingly voted for the Republican nominee, President Ronald Reagan, over the Democratic nominee, former Vice President Walter Mondale. Reagan won Montana by a landslide margin of 22.29 percent. As of the 2016 presidential election[update], this is the last election in which Glacier County voted for a Republican Presidential candidate. ^ David Leip. "1984 Presidential General Election Results – Montana". Dave Leip’s Atlas of U.S. Presidential Elections. Retrieved 2008-03-18.